We have a large variety of Pew Ends available. Please take a look at some of the examples below. 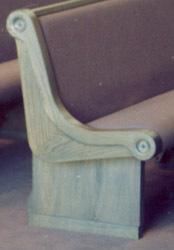 If you would like more variety, or even a custom pew end designed, please contact us.